Thanksgiving is coming up quickly, and pretty soon, families and friends will be gathered around tables all across the country to give thanks and chow down on some truly incredible food. I love Thanksgiving, not just because I get to be with my entire family, but also because I love the smorgasboard of delicious dishes that spread from one end of the table to the next for Thanksgiving dinner. Looking to try out a new recipe or two this Thanksgiving? 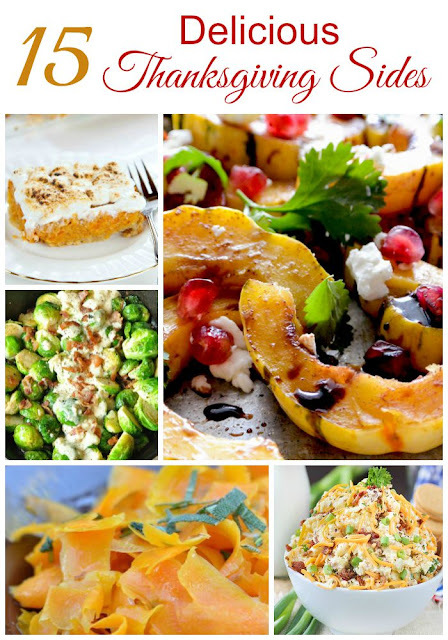 Check out these 15 delicious Thanksgiving Sides recipes and let me know what you think!